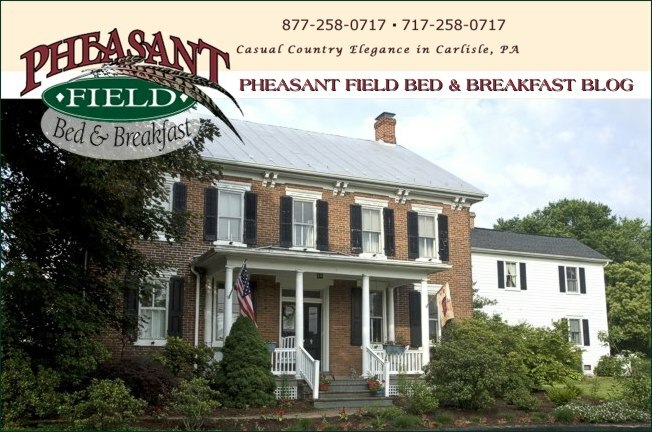 Lots of couples are enjoying a special Valentine's Day getaway at Pheasant Field Bed & Breakfast. Because this is also a holiday weekend, we have more guests than usual for a Sunday night. Skiing was still great at Ski Roundtop; More restaurants are open on Sunday - for Valentine's Day; and the weather is cooperating this weekend! We had a very special moment today - a wedding was held here this afternoon! Our very best wishes to the special couple! That new husband should not have difficulty remembering his anniversary date!